This course is designed to meet the requirements of Professional Standards Policy #47 (New Member Orientation Program) and Professional Standards Policy #48 (Quadrennial REALTOR® Ethics Training) as found in the National Association of REALTORS® Code of Ethics and Arbitration Manual. NAR case studies are included. 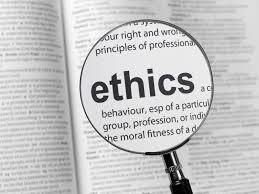 The benefit to the consumer when a licensee has successfully completed this course is that the agent will have a systematic guide to understanding ethical dilemmas related to everyday real estate practice with appropriate actions and expected decision making processes. Accounting, Reasonable Care and Diligence Describe the fiduciary duties of accounting, reasonable care and diligence owed to clients and customers as required in the Articles and Standards. When there was no word the next day, REALTOR® Augusta called. Buyer Bailey came in and signed the contract. Six months later, Buyer Bailey came to REALTOR® Augusta as a seller. He was being transferred. He would need to get his equity out of the house to be able to afford a purchase in the new community. REALTOR® Augusta listed the house at the price Buyer Bailey had paid for it. After a month there had been no offers. Buyer Bailey reminded REALTOR® Augusta of his written assurance that his office had guaranteed he would get his money out of the house within the year. REALTOR® Augusta explained that the market had become much less active and that Buyer Bailey might have to reduce his price by $15,000 to $20,000 to attract a buyer. Whereupon, Buyer Bailey filed a complaint with the Board of REALTORS® charging REALTOR® Augusta with misrepresentation, exaggeration, and failure to make good a commitment. However, REALTOR® Augusta explained that although he had held such an opinion in good faith, the market had softened and now the circumstances were different. The Hearing Panel reminded REALTOR® Augusta that the pertinent fact being considered was not his opinion at the time of the previous sale as compared to his opinion now, but rather his written “guarantee” to Buyer Bailey and his current failure to make good his written commitment. It was the conclusion of the Hearing Panel that REALTOR® Augusta was in violation of Article 2 for having engaged in misrepresentation.